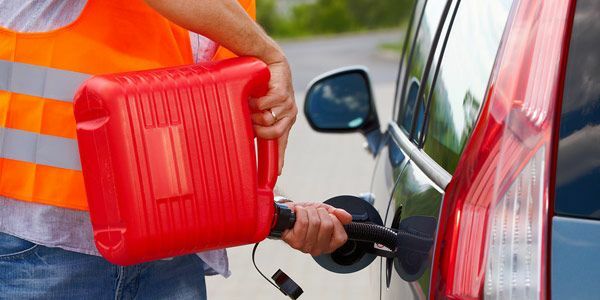 At St. Louis Towing Services, we are happy to provide our customers with the assistance of fuel and oil delivery on demand at a moment’s notice! Our fuel delivery professionals will arrive at your location, no matter how far it is from the local city area, and deliver you adequate fuel in order to cover your trip to the nearest fuel station or preferable location you might need to go to. In addition, if you need towing services from where you are to a desired destination or the fuel station, we are also able to provide you with those services quickly and efficiently so that you can get back on the road as swiftly as possible. No matter how unique your situation is, our responsibility will be to assist you to get back on the road again with ease. Excellent Services at an Affordable Price! Our fuel delivery professionals will ensure that you are serviced and ready to go as quickly as possible after you call us for assistance. Our professionals, as well as the vehicles and equipment they operate, are licensed, bonded and insured for your safety and security. Our services are available 24 hours a day 7 days a week during any type of weather at any location for your convenience. All of our services are competitively priced, while ensuring the delivery of excellent services, so that our customers can have peace of mind, knowing that the excellent service they receive is affordable and worth the call they have made. If you have a specific situation that you have questions in regards to whether or not we can assist you, please give us a call, so that we can do our very best to suit your needs. 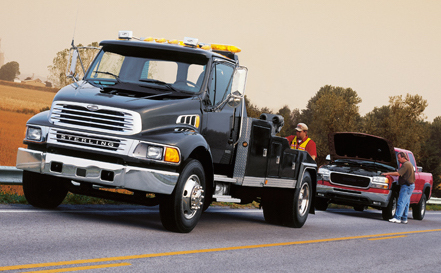 At St. Louis Towing Services, we value our customers, and strive to provide integrity, responsiveness and reliability to them for every service call they make to us. It is extremely important for us to deliver our services with these values at heart, as our customers often find themselves in situations where responsiveness, reliability and integrity are important to them. It is our job to be there to service you with excellence so that you can get on the road quickly, and that is our promise of delivery to you. If you need fuel or oil delivery, roadside flat tire assistance or towing services, please call us at 314-888-5348 and we will be more than happy to assist you and come up with the perfect solution to meet your needs. You can also fill out the form at the top right hand of the screen with details regarding your situation, and we will connect with you as soon as possible regarding sending a service professional to help you right away. If you need assistance retrieving funds for payment, please let us know and we will do our best to help you. We also accept all major credit cards in exchange for services for your convenience.